What can I say? I love the rivers... but truly, I love this river the most. We found this little spot totally by accident about 7 or 8 years ago. We were looking to hike to a waterfall in Jamaica Vermont, but we got lost, and then the hike was too long, my kids were too little and too hot. Somehow we ended up driving down a long dirt road in search of a deep swimming hole the locals whispered about. We stopped here truly by accident, in need of a lunch break. And now it is one of my favorite places. It is always changing, the flow different with each visit. But it is also always the same, with the same rush of water, the same pounding in my chest, the same total cleansing of the soul, the body, the mind. This is not my first shoot here, and I certainly hope not my last. It was hot hot hot out, the cool water was very welcoming, the rush and spray as powerful as always. “Eventually, all things merge into one, and a river runs through it. The river was cut by the world's great flood and runs over rocks from the basement of time. On some of the rocks are timeless raindrops. Under the rocks are the words, and some of the words are theirs. 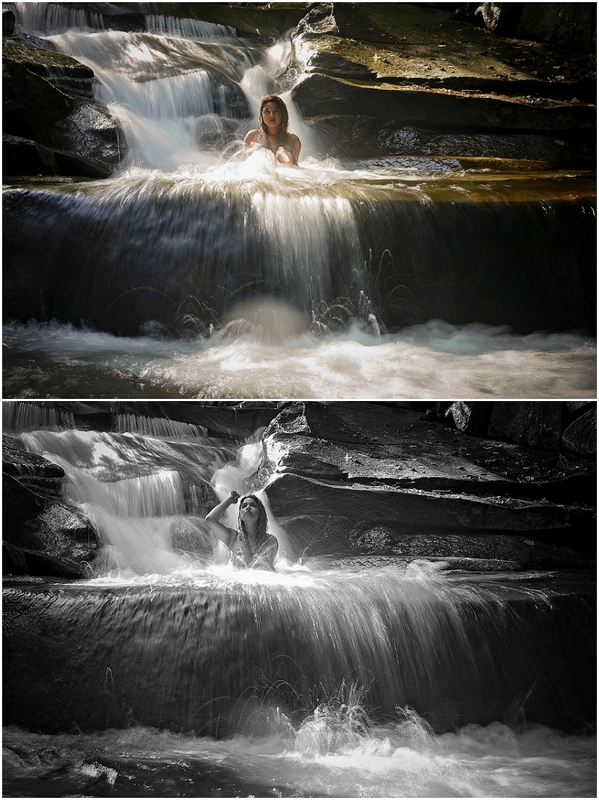 This is not my first shoot in this stream, hopefully there will be many more people who will feel the call to go into the water with me and experience a powerful shoot like this. It is also not my first session with Amanda, see more about her here, here and here and listen for her to take the radio waves by storm!